Studies in Corpus-Based Sociolinguistics illustrates how sociolinguistic approaches and linguistic distributions from corpora can be effectively combined to produce meaningful studies of language use and language variation. Three major parts comprise the volume focusing on: (1) Corpora and the Study of Languages and Dialects, in particular, varieties of global Englishes; (2) Corpora and Social Demographics; and (3) Corpora and Register Characteristics. The 14 peer-reviewed, new, and original chapters explore language variation related to regional dialectology, gender, sexuality, age, race, ‘nation,’ workplace discourse, diachronic change, and social media and web registers. Invited contributors made use of systematically-designed general and specialized corpora, sound research questions, methodologies (e.g., keyword analysis, multi-dimensional analysis, clusters, and collocations), and logical/credible interpretive techniques. 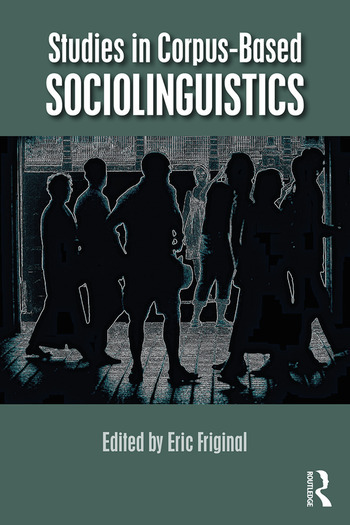 Studies in Corpus-Based Sociolinguistics is an important resource for researchers and graduate students in the fields of sociolinguistics, corpus linguistics, and applied linguistics. 5 Indian English: A pedagogical model (even) in India? 13 A corpus-assisted discourse study (CADS) of representations of the ‘underclass’ in the English-language press: Who are they, how do they behave, and who is to blame for them? Eric Friginal is Associate Professor of Applied Linguistics at the Department of Applied Linguistics and ESL and Director of International Programs, College of Arts and Sciences, at Georgia State University, USA.